The Vatican on March 24, 2018, released the document of the Pre-Synodal Meeting in preparation for the 15th General Ordinary Assembly of the Synod of Bishops, held the past week in Rome. The Assembly of the Bishops will be in October 2018, with the theme: “Young people, faith and vocational discernment”. During a press conference to present the document, speakers included Cardinal Lorenzo Baldisseri, secretary general of the Synod of Bishops; the Rev. Augusto Zampini, coordinator of the pre-Synodal Meeting; the Rev. Sr. Natalie Becquard, coordinator of the pre-Synodal Meeting; the Rev. Fr. Jean Paul Hernández, S.J., coordinator of the pre-Synodal Meeting; and three young people. On Monday 19 March the work of the Pre-Synodal Meeting began, in the presence of Pope Francis. The Holy Father spoke with the young people for three and a half hours. His words, frank and direct, addressed to all participants – both those physically present here in Rome, over 300, and those connected through social networks, about 15,000 – have inspired immense interest. The Pope spoke bravely and asked the young people to leave shame outside their door. He asked them to be protagonists of this synodal journey, and said that their contribution is indispensable for the preparation of the Synodal Assembly in October. Citing the Sacred Scriptures, he recalled that it is often young people who reopen the door of hope in times of crisis, and that a Church who does not dare to set out on new roads is a Church condemned to grow old. Above all, the Holy Father warned everyone against the pretension of talking to young people without questioning them. It must be said that the meeting, now concluded, was a response to this appeal. The approximately 15,300 young people who took part in the Reunion, physically or virtually, come from the five continents and in various ways represent their peers all over the world. This presence dispels many false myths and prejudices about new generations. We have seen young people able to sing at the top of their lungs but also to be silent and listen with extraordinary attention, to dance with the enthusiasm typical of their age but also to spend hours in plenary assembly or working groups, to reason, talk, compare and put their ideas in writing. The work conducted this week – during the day but when necessary even at night – has resulted in a lengthy document, discussed in the hall and in the linguistic groups, which was finally approved this morning. As we can see, the method adopted was synodal in all respects: during these days we journeyed together and listened to each other, resulting in the drafting of a shared text reflecting all the contributors. The document of the Pre-Synodal Meeting is one of the sources that will contribute to the preparation of the Instrumentum laboris for the Synod. The other contributions will come first from the syntheses sent by the Episcopal Conferences and the Synods of the Eastern Catholic Churches, syntheses which are also the fruit of extensive listening conducted in dioceses around the world. The results of the online questionnaire proposed to young people and the interventions of the international seminar on the youth situation organized by the General Secretariat of the Synod in September 2017 will be added to those summaries, without forgetting the observations freely sent by individuals and groups from all over the planet. The document drawn up during this week is divided into three parts, preceded by an introduction: the first part deals with the challenges and opportunities faced by young people in today’s world; the second, faith and vocation, discernment and the accompaniment of young people; the third, the Church’s formative and pastoral activities. Without wishing to provide a detailed summary of the text, which will be offered by those who will speak after me, I would like to point out some key ideas and keywords that can help us to understand their content. The young people, who speak in the first person plural, define themselves as “the young Church”: there is a Church of young people that is not “in front of” or “in opposition to” an adult Church, but “inside” the Church like the leaven in the dough, to use an image from the Gospel. From the text, there emerges a great desire for transparency and credibility on the part of the members of the Church, and especially pastors: young people expect a Church that knows how to recognize with humility the errors of the past and the present, and courageously commit to living what it professes. At the same time, young people look for educators with a human face, ready if necessary to acknowledge their fragility. Other fundamental categories of the document are vocation, discernment and accompaniment. Young people today suffer from a lack of true companions, who can help them find their way in life, and ask the Christian community to take on their need for authoritative guides. Ultimately young people reclaim an “extrovert” Church, committed to dialogue without preclusions with the advancing modernity, in particular with the world of new technologies, whose potential needs to be recognized and its correct use oriented. “An attractive church is a relational church”, says the document. Pope Francis, quoting the prophet Joel (see 3: 1), recalled on Monday that his youth is to make prophecies and have visions: the youth of today foretell a Church of dialogue and acceptance, of renewal and of listening, as indeed the Holy Father has asked from the very beginning of his Petrine ministry. I would like to add in conclusion that the young people gave us this week a demonstration of great seriousness, of the passionate search for meaning, of generous openness and spontaneity. They expressed confidence in the Church and great expectations for her. They feel mobilized, as they are protagonists. Tomorrow some of them will have the privilege of offering the document resulting from the Meeting to the Holy Father. Ideally, that document is given to all the Synodal Fathers in view of the October Assembly. Significantly, the text will be submitted to the hands of the Pope by a young man from Panama, a nation that – as you are aware – will host World Youth Day in 2019. As I was called to serve in the organization of this pre-synodal meeting, I lived this week in the midst of young people as a very privileged experience of meeting and listening to this generation, a living experience of listening to the Holy Spirit at work in the hearts of three hundred such diverse participants. I am extremely grateful for the gift I have been given to accompany them in this process of preparing the final document. I witnessed their involvement and active participation in this process of exchange and writing that was offered to them. I was impressed by the seriousness with which they took to heart the work of reflection and discernment that led to the drafting of a document with strong words, reflecting their analyses, visions, desires, convictions, and questions. Moreover, I was impressed by the way in which Pope Francis and the General Secretariat of the Synod really trusted them by opening them up to free speech and dialogue. They felt they were taken really seriously and fully empowered, and they mobilized with incredible energy and a lot of talent. I was particularly touched by the way in which they were the actors and real protagonists of this meeting, seeking to give the best of themselves to make a significant contribution to the preparation of the synod of bishops. Like them, I had the feeling of experiencing a historic moment, a new Pentecost that gave participants from all nations the opportunity to experience in a very concrete way the unity possible in diversity, communion in a common sense, the universality of the Church with respect for different cultures. Through this dynamic of listening and sharing in respect, we have witnessed the surprising emergence of very strong convergences on many subjects and at the same time the surprising capacity of this generation to articulate different accents and sensibilities in a multi-faceted way. The young people expressed their joy in walking together in an inclusive, open, human, world-oriented and forward-looking Church. I was also particularly touched by the very positive testimonies of non-believing delegates or those of other religions, who told me how they felt fully welcomed. Influenced by their meeting with the Pope, which set the tone this week, the young people experienced during the week a foretaste of the world of peace and brotherhood they dream of. They leave with immense joy, pride and hope, having experienced concretely and prophetically the face of the Church to which they aspire: an authentic, accessible, simple, creative church. A daring Church that takes the risk of joining them without fear of their questions and realities, and that dares to give them their full place. A synodal church where all walk together, faithful and pastors, laypeople, priests and consecrated men and women, young and old, listening and welcoming each other. I emerge with the strengthened conviction that synodality really is the key to evangelizing young people today. What they experienced during the pre-Synodal Meeting can be an inspiring model for youth pastoral ministry in local churches. I believe that we have experienced, through this symbolically significant initiative, a milestone in the preparation of the 2018 Synod, and perhaps even a new stage in the reception of Vatican II, which I am sure will bear fruit for this world and for the Church. I dream that this powerful breath of youth may resonate here in October and that the Synod Fathers have concrete opportunities for interaction with young people during the Synod. While young people are waiting for elders to guide and accompany them, they also have a lot to give us, as they showed us this week. Let us not be afraid to consult them and to involve them in decision-making bodies at all levels of the Church. I am Percival Holt, representing the youth of India. This meeting was indeed an enriching experience and a wonderful sharing of the realities of young people from various spheres of life across the globe, focusing at addressing concerns and mainly the voice of young people of this millennium. “Though the realities of life are quite diverse for people from Africa, Asia, or America, Europe etc but strangely the feelings and concerns appear to be quite similar”. And I must say, collating all the concerns and bringing out a document of the pre-synodal meeting was quite a Herculean task but the outcome seems appealing. One thing that emerged out of the document quite crystal clear is that “the existing realities of young people today needs urgent attention. Young people seem stretched between an idealistic and realistic world and mostly end up exhausted. There is an alarming need to assist us in coping up with this rapidly transforming world where career, education, technology and superficial relationships are taking a toll on us. Most of the young people are in tremendous personality crisis mainly due to external pressures and lack of introspection, relationship with the divine and others. Spirituality is important for many as a way of life but again ambiguous for others. As mentioned in the document about the “relationship of young people with technology”, in India, where I come from the biggest challenge of young people today is the sudden and rapid globalization in past two decades that has caused an explosion of exposure to the challenges and lifestyle of the other part of the globe which is too much for us to digest all so soon, making us vulnerable and dependent onto technology for almost everything leading to loss of employment &and peace. “Artificial intelligence and social media” which are indeed a beautiful medium of networking and connectivity across the globe are also becoming a bane. “Discerning the purpose of life” already seems ambiguous in this rapidly changing world which gets magnified by the sudden exposure and explosion of knowledge and awareness that is new to the young people of India especially. 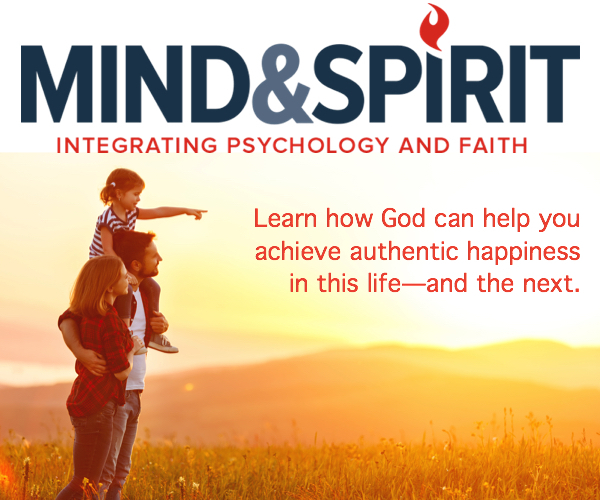 All this points at one need of the hour, the need of guidance for young people today to help them discern the purpose of their life and find the path to sail through, overcoming all hurdles in their way. In my country and many others, I feel young people today are more practical, sensitive and objective – they are loud and clear about their feelings and expectations. Young people want guidance and “accompaniment in their journey of life”. Therefore, this document is a cry of the young people to be heard and shown the way through life in this chaotic world. I am Laphidil Twumasi, of Ghanaian origin, representative of the Migrantes group in Vicenza and Youth Ministry of the Diocese of Vicenza in general. I come from the Parish of San Lazzaro, to be specific. 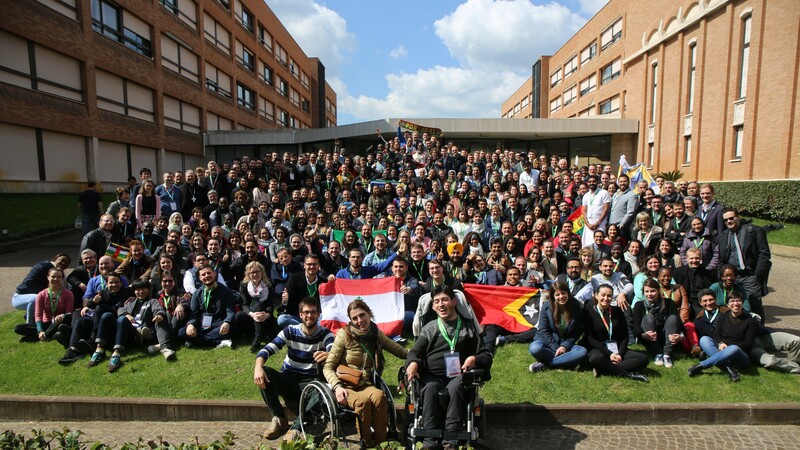 About three hundred young people from all over the world were brought together for this pre-Synodal Meeting. It was a new and very interesting opportunity to bring together young people of different cultures, languages and personalities to collaborate on such a revolutionary document. While living this multicultural experience we also had the opportunity to welcome and appreciate all our diversity. We young people were able to participate actively and truly in the realization of the official document of the pre-Synodal meeting, and we were very happy with this novelty. – the educational and pastoral action of the Church. The initial challenge was to take 26 different texts, translate them all into English, look for the points they had in common, make a kind of summary, and then re-translate everything into different languages. We editorial group members were divided into three groups, so that each group could elaborate on one of the three themes. There were four speakers and three translators for each group. We worked for three days, or rather nights, on the document, each time offering the general meeting the opportunity to share their opinions and comments on its drafting and content. For the most part, we carried out a work of synthesis and tried to put our ideas in writing with a direct, precise and clear language, making sure that every young person felt represented in the document, without excluding anyone. The best part of this task in my opinion, and what amazed me most, was the fact that despite having different cultural baggage, we had almost all the same ideas and thoughts on these issues. This reinforces my opinion that we have the same goal and need as young people. We care about the progress of the Church and of society in general. It shows that we young people are not stupid, as Pope Francis said, and that our voice must be heard and taken into consideration. Good afternoon. My name is Briana Santiago, I am 26 years old, and I am originally from San Antonio, Texas (USA). I am in my fourth year of formation with the Apostles of the Interior Life, and in my third year of philosophical and theological studies at the Pontifical University of Saint John Lateran, here in Rome. I first heard of this pre-Synodal meeting from one of my Sisters, who greatly desired to share with the Church our years of experience ministering to young people. Subsequently, I was asked to be a part of the Social Media group. My participation began almost two months ago in welcoming young people into the English language group on Facebook. This presented itself to be quite the task, especially since I am also a student and part of a community, but it has been an amazing opportunity to “meet” people from all over the world. There were six language groups on Facebook. All other languages not represented found themselves in the English group, and because of this, I was able to chat with people from the Philippines, England, Africa, Vietnam, the United States, Malta, the Netherlands, Hong Kong, Poland, among other countries. Once we all arrived at the pre-Synodal meeting on March 19th, Alex, Cherise, James and myself (the four moderators of our group) divided the 15 questions that were posted on Facebook, read each comment and wrote a summary for each question. Though we all spent more hours in front of a screen then we ever imagined to, we were filled with awe and very humbled by the depth of reflection, the desire to share, the vulnerability and the great sincerity that the responses clearly demonstrated. There are aspects of society today that would have led me to believe that comments would have gone in a certain, mostly political, direction. I was moved to find that the great majority of young people who participated via Web had many other things at heart: building strong and united families, participating in their local church, honoring the beauty of the Liturgy, digging deeper into the tradition of our Church Fathers, finding guides who could help them learn how to discern and make important decisions, and so forth. Not once did we, in our group, have to intervene because of disrespectful or hurtful language, which can often be found in interactions on these new media platforms. Here at the pre-Synodal meeting, we of the Social Media group received real, concrete ideas and suggestions that were then added to the discussion of the other 305 participants physically among us. For me personally, this has been an incredibly enriching experience. I have sat down to meals where each person at the table came from a different country, but all shared in the universal desire to know and be known, to share and to receive. There has been a joy permeating the air here that could be heard in the laughter, the songs, and the chatter during breaks. The friendships that have been born these last five days shall not be easily forgotten. I have learned much from my fellow brothers and sisters these last few days and will bring all that I have experienced here into my ministry as a young woman in formation for the consecrated life. We, young people, are so grateful to have had the possibility to come together, both physically and digitally, to share our similarities, our differences, and thus enhance the nature of the document that will soon be presented to the Synod Fathers. I would like to extend my most heartfelt thanks to all that were involved and who will continue to collaborate even after this weekends. Thank you and God Bless.